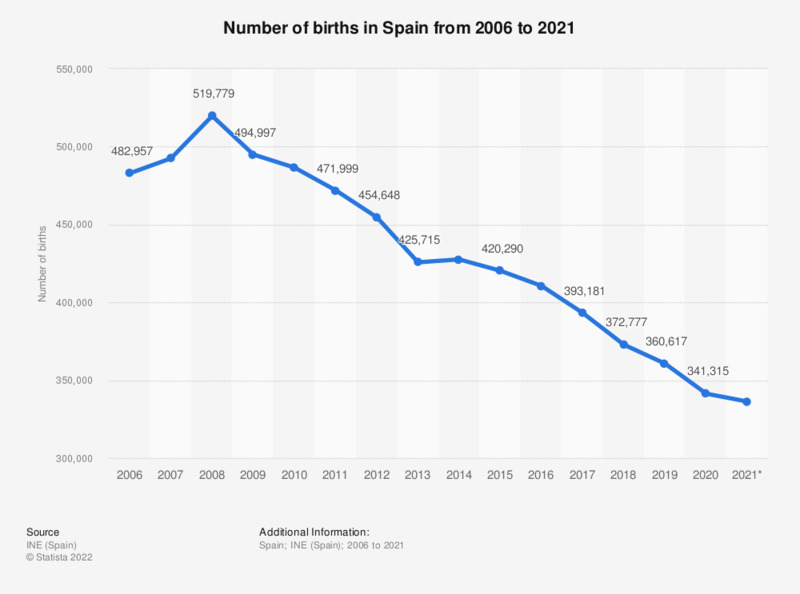 This statistic displays the number of births in Spain from 2006 to 2017. Approximately 519.8 thousand children were born in Spain in 2008 before initiating a decline annually until the most recent analyzed period in 2017, with approximately 391 thousand. Spain's population initiated a downward trend and stood at approximately 46.6 million in 2018.